﻿ Is it legal for me to trap an opossum? USA Wildlife Removal Education Guide - Is it legal for me to trap an opossum? Is it legal for me to trap an opossum? In the majority of locations, it is not illegal to trap an opossum. These animals can be extremely destructive, and can act as a pest if they inhabit a household. In some cases, homeowners are left with nothing else to do but to trap and kill the animal. However, due to the fact that, in some states, particular species of animals are protected against trapping and killing, it can sometimes be confusing to people in their attempt to determine whether or not they have the right to trap an animal. In case of opossums, they are not only legal to trap, but in some areas, homeowners are obligated to kill them if they ever trap them. In some areas, opossums are overpopulated. They are capable of raiding farms, killing poultry and devastating crops and gardens. This can cause a substantial amount of damage to farmers, who will try to defend their property the best way they can. 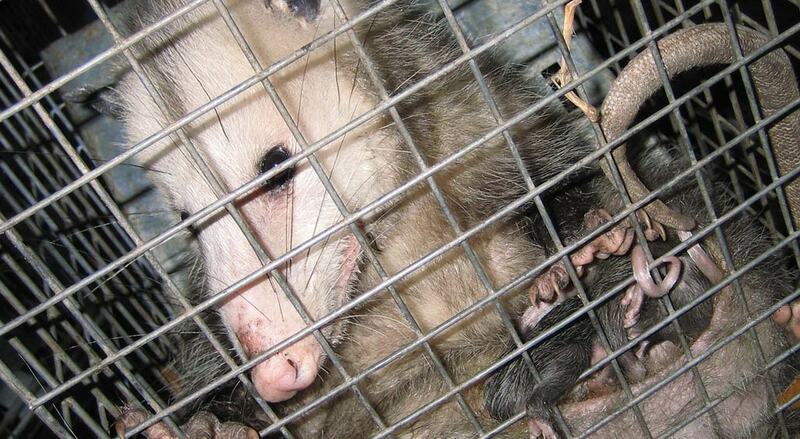 They are forced to trap and kill opossums, because their number grows fats and they are extremely destructive. Even releasing opossums is forbidden in some states, because they have become a serious problem for farmers and homeowners. If they trap them, they will be obligated to kill these animals. Even though it might not be illegal for you to trap an opossum, trapping it still requires some knowledge and research. You are going to have to find an appropriate place to set the trap, and choose appropriate bait, which is not going to attract other animal. If your find it too hard to figure out a proper way to trap an opossum, the best solution for you might be to call for help. In most states, animal removal companies are going to perform a safe and fast removal for you. Go back to the main Opossum Removal page for more information about Is it legal for me to trap an opossum?.